A short drive and walk to the centre of Havelock North Village with its abundance of boutique shops, cafes, restaurants and bars. Also a great location to the iconic wineries and the sparkling waters and golden beaches. 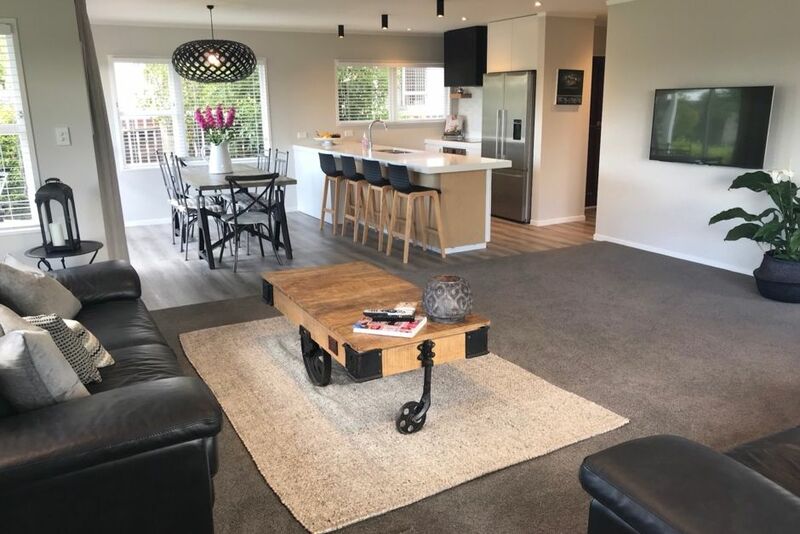 Great for families and entertaining with the new kitchen, scullery, open plan living and large outdoor table and gets all day sun situated beneath the majestic Te Mata Peak. Also close to the Keirunga Railway, Village Pools, Village Green and other parks in our area. This is our second visit and will happily stay again. Great location for all attractions and the garden kept the kids entertained while the adults relaxed indoors. Warm, homely, spacious, ideal home for any occasion. Very welcoming and willdefinitely be back! Such a beautiful and cosy house with spacious bedrooms and plenty of room to relax either indoor or outdoor. Very close to town and wineries and there’s even Netflix on the tv! Great house and great location - well equipped and nice comfy beds etc. Aircon was a godsend on the days that were 30+ !!! A nice property in a good location. Kitchen,living area and bathroom had been recently renovated and the bedrooms had been were clean and tidy. Everything you need for your holiday is here. The kids loved playing on the trampoline and with the basketball hoop. Air-conditioning had been recently installed in the living area and was a godsend when the temperatures reached 32 degrees celcius outside. Would recommend this property for a great base for your holiday in Havlock North/Hawkes Bay. Lovely house, nicely renovated. Clean and comfortable. Would stay again thank you!